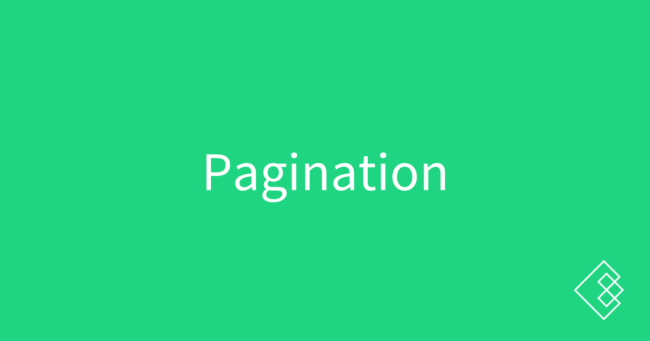 What is pagination for SEO? Often on very large websites, you will deal with the situation where you cannot load all of your products or content on one page, therefore you must paginate. This happens on the simplest of blogs as well when you publish more posts than the homepage or a category allows, often 10-15. The classic way to show pagination both to users and search engines is at the bottom of a page. Pagination is important to users because it allows them to move to deeper pages to browse content. Some sites use infinite scroll instead of pagination, which has its own set of challenges for SEO and must use rel next/prev as discussed next. In September 2011 Google announced that they were beginning to support the rel=next and rel=previous directives to sort out duplicate content issues. For years before, they had always had issues determining the first page in a set of pagination. Rel next/prev were and continue to be a solution to solve this ongoing problem. The question of how to use canonicals when paginating content is one that comes up time and time again. Some will say to canonical your pagination to the base. Others will say to self-canonical. Still others will say to remove canonicals and use rel next/prev to tell search engines where to go. My approach to pagination and canonicals is to self-canonical paginated pages. This way, you do not risk the search engines simply following that directive, going back to the first page, and ignoring the products/etc that are listed on the deeper pagination. Remember: part of the reason for pagination is to help search engines find older products! At this point, it is not possible to tell search engines within their respective Search Console (Google) or Webmaster Tools (Bing) that a parameter is used for pagination.